TUXEDOS RENTALS STARTING AT $99! Don’t need a full tuxedo? Rent a vest and tie for under $50! Suspenders and shoes are also available! With over 300 color choices, we are sure to match your wedding colors perfectly. 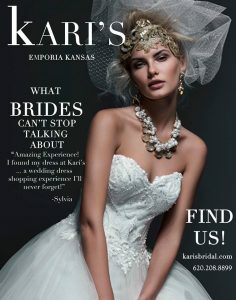 At Kari’s you can do YOUR wedding YOUR way!